For all the family travelling long haul, a unique complex of Food-Grown® nutrients and botanicals. Extensive air travel can be tiring, leave you feeling 'out of sorts', your natural energy and sleep patterns out of sync and expose you to greater oxidative cellular stress. This formula supports these areas of concern. 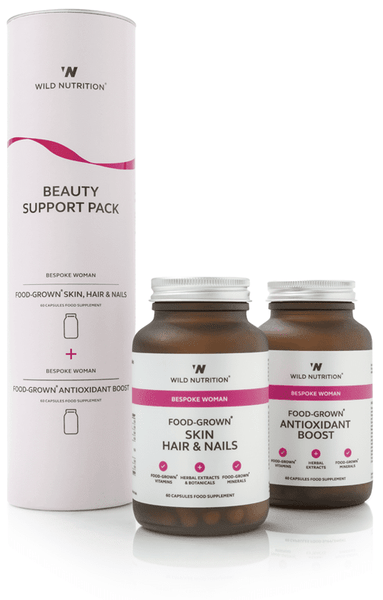 Our Food-Grown® Wild Traveller is a unique complex of Food-Grown® nutrients and botanical extracts expertly formulated to support your wellbeing when travelling. The body’s exposure to oxidative damage can be higher when travelling, especially when crossing time zones. This fact, and our own experience of travelling long haul, led to extensive research to develop a product that supports the physiological and psychological effects of travelling. 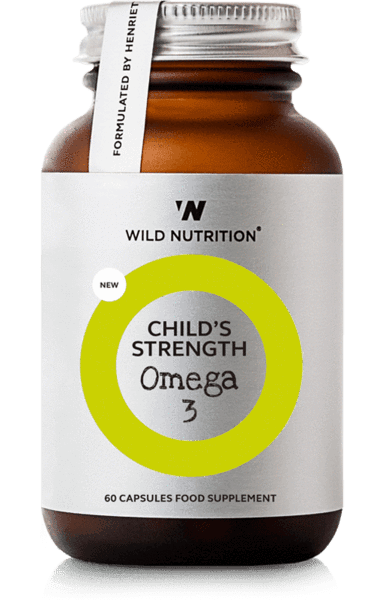 Our unique formulation, Wild Traveller, provides; Vitamin C and Zinc which contribute to the normal function of the immune system and protection of cells from oxidative stress, and Magnesium that contributes to a reduction of tiredness and fatigue, normal functioning of the nervous system and normal psychological function. Wild Traveller also includes our synergistic blend of NADH, French Maritime Pine Bark, Cordyceps Sinensis and Ginger root extract. Nutritional information stated above (nutritional values) equals to 4 capsules. Suggested dose when travelling: 8 capsules. When making a journey, take 2 capsules in the morning of the day before you travel; then take a further 2 capsules on the day that you travel and take 4 capsules on arrival at your destination. Can be taken with or without food. Half doses for children under 12 years of age. Vitamin C incorporated in citrus pulp; Lactobacillus bulgaricus providing Zinc and Magnesium; French maritime pine bark extract (Pycnogenol®); Reduced Nicotinamide Adenine Dinucleotide (NADH), Ginger root extract and Cordyceps Sinensis powder. Vegetable Cellulose (capsule shell). Excipients, wheat, gluten-containing ingredients, soya, artificial colours, flavourings & preservatives. Contains no live yeast at time of manufacture. Size: 32 Capsules (1 month supply). Dosage: 2 capsules in the morning of the day before you travel. Take a further 2 capsules on the day you travel and 4 capsules on arrival your destination. Half doses can be given to children under 12 years of age. 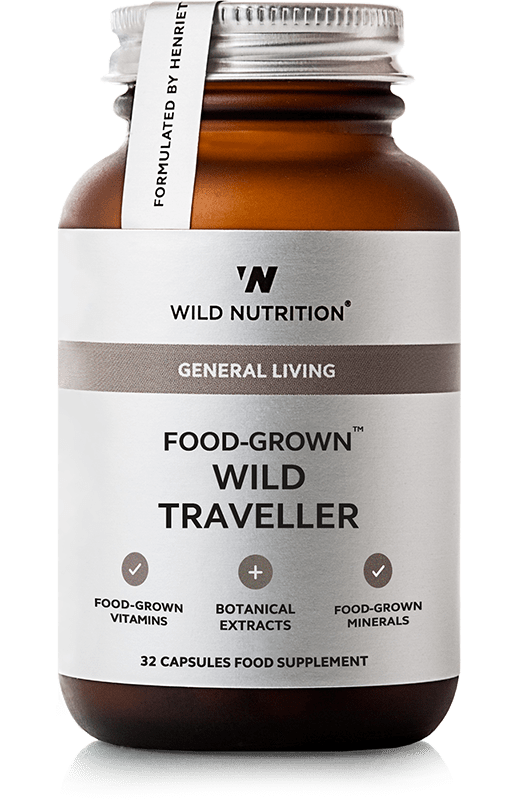 Our Food-Grown® Wild Traveller is a unique complex of Food-Grown® nutrients and botanical extracts expertly formulated to support your wellbeing when travelling. The body’s exposure to oxidative damage can be higher when travelling, especially when crossing time zones. This fact, and our own experience of travelling long haul, led to extensive research to develop a product that supports the physiological and psychological effects of travelling. 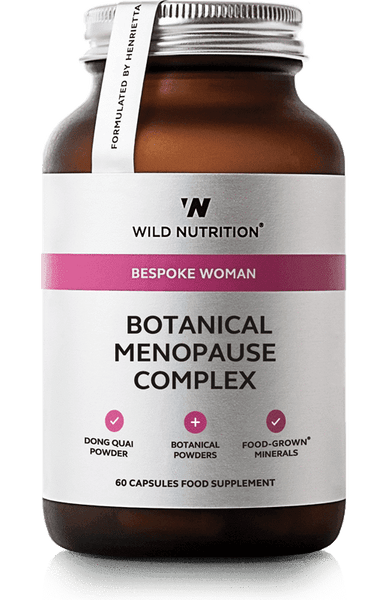 Our unique formulation, Wild Traveller, provides; Vitamin C and Zinc which contribute to the normal function of the immune system and protection of cells from oxidative stress, and Magnesium that contributes to a reduction of tiredness and fatigue, normal functioning of the nervous system and normal psychological function. Wild Traveller also includes our synergistic blend of NADH, French Maritime Pine Bark, Cordyceps Sinensis and Ginger root extract. Ingredients: Vitamin C incorporated in citrus pulp; Lactobacillus bulgaricus providing Zinc and Magnesium; French maritime pine bark extract (Pycnogenol®); Reduced Nicotinamide Adenine Dinucleotide (NADH), Ginger root extract and Cordyceps Sinensis powder. Vegetable Cellulose (capsule shell).